Glowcare is a family owned and run, Vaillant UK official service agency for North West England, (which includes the Glow-worm boiler brand), specialists in expert Glow-worm boiler servicing and repair, for all models in the Glow Worm boiler range. Since 1992 we have been approved service agents for Glow-worm. During this time we have acquired considerable knowledge and expertise across all model types. From conventional floor standing and wall-mounted designs, e.g. Glow-worm Fuel Saver, Space Saver, Hideaway, Ultimate, SwiftFlow, Micron or Compact; through to the latest ultra modern high efficiency condensing combination boilers, such as Glow-worm Ultracom, Ultrapower, Flexicom, Xtramax or Betacom. Please see our Glow-worm Boilers page to identify your model. 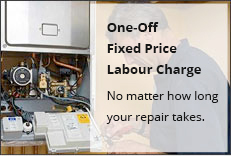 Whether you simply require a standard annual boiler service and maintenance check or need a 1st, 2nd or 3rd year qualifying Glow-worm boiler service, for the boiler’s extended warranty to be kept valid, please call us today. Glowcare cover Greater Manchester, Cheshire, Lancashire and Merseyside. To see if you are located in our service area, please check the Areas We Cover page.